No power vacuum here! 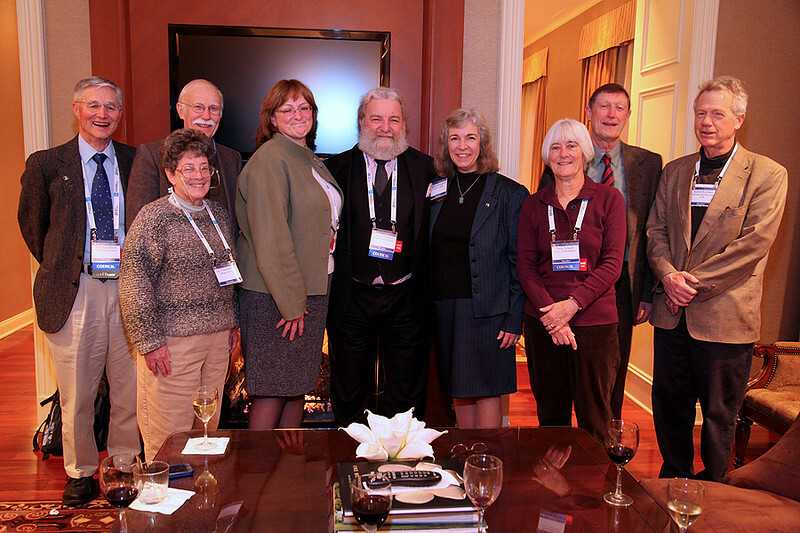 Attending the AAS Past-Presidents Reception were Vice President Ed Churchwell, Past-Presidents Caty Pilachowski and Craig Wheeler, President-Elect Meg Urry, President David Helfand, Past-President Debbie Elmegreen, Vice President Paula Szkody, and Past-Presidents Bob Williams and Bob Kirshner. AAS photo © 2014 Joson Images.